Tunas are at the top of the food chains and have high metabolism and feeding rates, leading to increased metal accumulation in their tissues. Several tools using biological, biochemical and chemical measurements have been used to identify populations, geographic distributions and migrations of fish species in different environments. 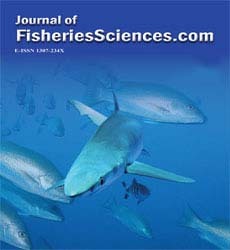 Elemental composition (V, Cr, Co, Ni, Cu, Zn, As, Se, Cd and Pb) was determined in muscle and liver tissues of bigeye tuna (Thunnus obesus) caught in three areas of the south Atlantic Ocean. Concentrations in liver (V, Co, Cu, Zn, As, Cd and Pb) point to increased values in specimens captured near the South Africa and South America relatively to the open-ocean areas. The obtained results showed that tissue elemental concentrations in T. obesus from the south Atlantic areas can be used as a natural tag. Due to its role, liver seems to be the best indicator tissue.